Serving in Macon, Jackson, Swain, Graham, Haywood, Clay, and Cherokee counties. With so much in the news about our changing real estate market, we at CAROLINA MOUNTAIN BROKERS would like you to know that we stand ready to answer any questions and help alleviate any uncertainties pertaining to your real estate needs. The market has transitioned to an increasingly more difficult level and it is important to have truthful accurate information from knowledgeable real estate brokers whether you are buying or selling. We are here to help with ALL your real estate needs. Bank owned real estate is a driving force in the national real estate market now. The town of Franklin is a cozy mountain town nestled in the Smoky Mountains in North Carolina. Take a trip back to the past when things were less hectic and everyone was friendly. See some lovely area pictures and more detail by clicking on the ABOUT OUR AREA button. We heartily welcome you to Carolina Mountains Brokers! Who doesn't want a building which can be called "home sweet home"? What makes a building a house is the serenity, purity and love that surrounds it. Owning a property or a house is considered an investment of a lifetime. And it is so true! No matter whether you are looking for a condo or a commercial property, it is obvious for most of us to give priority to the area, surrounding, special attractions and facilities available in the region. If you want to enjoy life at its best and are looking for your dream property in a serene environment, then Western North Carolina is an ideal niche. Selling or buying your desired property on your own can be confusing, stressful, and time-consuming. Advice from relatives and friend further adds on to your worries because in the case chances are you will get a variety of advices from multiple people. Therefore, we are here to answer all your questions regarding selling or buying property in Western North Carolina. Before you start searching for your desired property in the area, let us take you to a joy ride where you can explore what Carolina and we have in store for you. 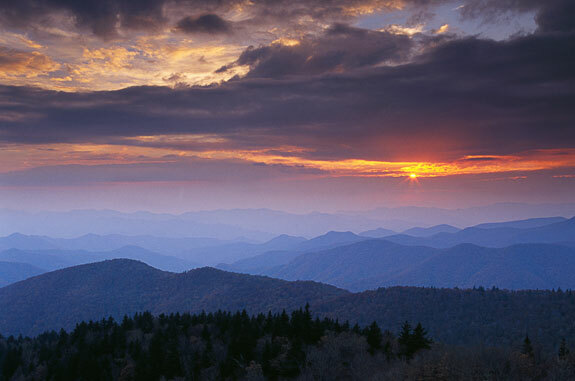 Western North Carolina is basically the area of North Carolina which comprises the Appalachian Mountains. Hence, it is usually called as the state's Mountain Region as far as it's geography is concerned. The most exciting fact is that it consists the highest mountains in the entire Eastern United States. Tourism forms the major part of the North Carolina's economy consisting half of the Great Smoky Mountains National Park, the Nantahala and Pisgah National Forests. Numerous lakes and dams that are spread throughout Western North Carolina compliments the beauty of the area. Also, the timber industry is also a crucial economic sector. Western North Carolina is comprised of 26 regions including Avery, Cherokee, Macon, Clay, Swain, Cleveland, Franklin among others. The region gives you an opportunity to relax at award-winning spas in the most tranquil atmosphere. Or you can also catch a performance of the nation's longest-running outdoor dramas whenever you want. It is well known for a variety of restaurants offering exceptional fresh seafood, local barbecue, and small-batch beer among everything which is enough to lift your spirits. In fact, if there is something called a great vacation, you are certain to find it here at Western North Carolina. Magnificent mountain panoramas, architecturally noteworthy buildings, a splendid array of restaurants, and an ever growing economy, all of this combines together to offer a best-of-both-worlds place to live. Besides, some other striking features of the Franklin county include trout streams and fishing, waterfalls, the Appalachian Trail, winter skiing, three golf courses, antique malls, art galleries and theatre and a Major University within a 30-minute drive. In short, the place has something for everyone! It is thus, it has become a dream destination for many. If you are among those "many", and are in search of a professional advice on North Carolina properties, then we are always here for you! We are a leading realtor specializing in Foreclosures, Short Sales, Property Management and Conventional Real Estate in Western North Carolina. With an extensive experience and an in-depth knowledge of the market, we are renowned for serving Macon, Jackson, Swain, Transylvania, Clay, Cherokee, Graham, and Haywood counties. In this era of changing real estate market, we at Carolina Mountain Brokers strive to ease any sort of uncertainty concerning to your real estate needs in Western North Carolina. Whether you want to buy a commercial or residential property or wish to sell your existing property, we can surely help making the process seamless, quick and comfortable for you. We ensure to constantly educate ourselves in the Bank Owned, REO/Foreclosure, and Short Sale side of real estate in order to help you get the best value of your money of vice-a-versa. We a dedicated team of real estate professionals we endeavor to help you enter any sort of transaction in Carolina properties. Our remarkable team includes two in house North Carolina licensed general contractors and an in house North Carolina licensed home inspector. Since, bank owned real estate is a driving force in the national real estate market these days. Bank Owned/REO real estate is quite distinct from traditional real estate. Hence, it is crucial to hire an experienced and professional real estate broker to buy a foreclosure or selling through a short sale. If you are looking for one, then Carolina Mountain Brokers are always here in your service. When it comes to your dream property, we go an extra mile to locate the one that perfectly matches to the property of your dreams. Also, when you decide to sell your property, then we help you procure the best value of your property! Make us your real estate partner and get closer to your dreams! We belong to all the MLS systems in Western NC including Mountains Regional MLS etc. We do not share, sell or trade contact information provided to us.